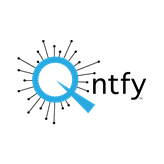 Qntfy is looking for a talented and highly motivated software engineer to join our development team. This team is responsible for building robust, flexible, and performant services and APIs. We like to move fast and aren’t beholden to any single technology, but we do have some favorites. An ideal candidate will have experience with, or the ability to figure out quickly, technologies like Kafka, Docker, gRPC, Redis, and Cassandra. Go has become our language of choice, but we do plenty of work in Python and Java too. Design and implement major new features for our platform. Translate customer needs into usable services. Effectively estimate time to implement designs. Write and test code for highly available and high volume workloads. BS or Master’s degree in Computer Science, related degree, or equivalent experience. 7+ years experience with software engineering and service design skills. Write well-structured, maintainable, idiomatic code with good documentation. Experience with Golang and Python development (Especially with frameworks like Gin and Flask). Experience writing flexible APIs and deploying them in production environments. Proficiency with a range of SQL and NoSQL databases.